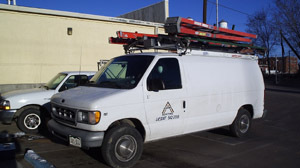 Services | Adams Electric Inc.
Our service department is the base of our company. Without this department, our company would be just another contracting firm. Our service team wants to help our customers in every way possible by utilizing our experience, knowledge and concern for our customers. We all believe there is no substitute for any of these qualities. We believe in the word service and understand what it means. Our team can help trouble shoot problems and fix them, provide new installations or help with any electrical servicing that your facility may require. no matter what the circumstances may be. Adams Electric was named Small Business of the Year in 2002 by the Greater Pueblo Chamber of Commerce.